The Class 6A bracket has been one of the favorites to watch in the Sunshine State and every matchup this week could be competitive. Here is a look at the eight regional semifinal games for this week. A rematch of the No. 1 and the No. 2 team in the Sunshine State … the previous meeting back in Week 10 for the District 6A-16 championship, Carol City won 36-28 … Last week the Rockets defeated No. 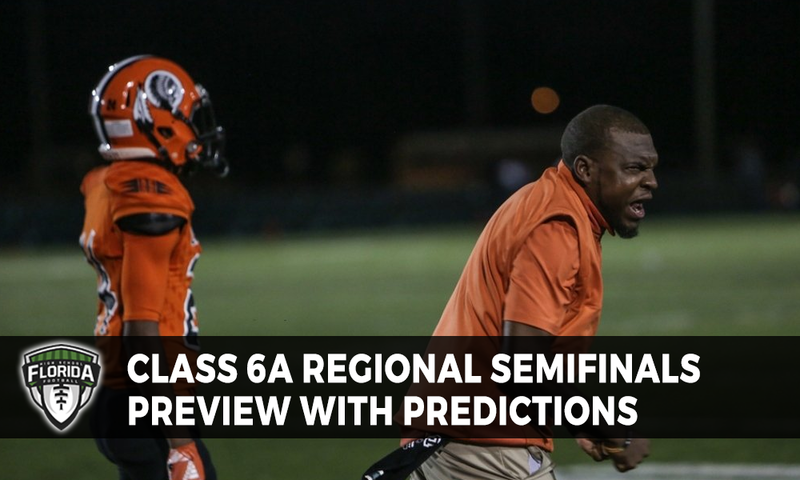 4 seed Dillard, 35-20 … Miami Carol City easily took care of No. 8 Miami Norland in a rematch last week, 34-0 … Keep an eye on quarterback Maurice Underwood for the visiting Rockets who threw two touchdowns and rushing for one in last week’s win … For the host Chiefs keep an eye on quarterback Daniel Richardson who went 7-of-15 last week for 154 yards and three scores in last week’s win. Prediction: Carol City 35, Miami Central 28.